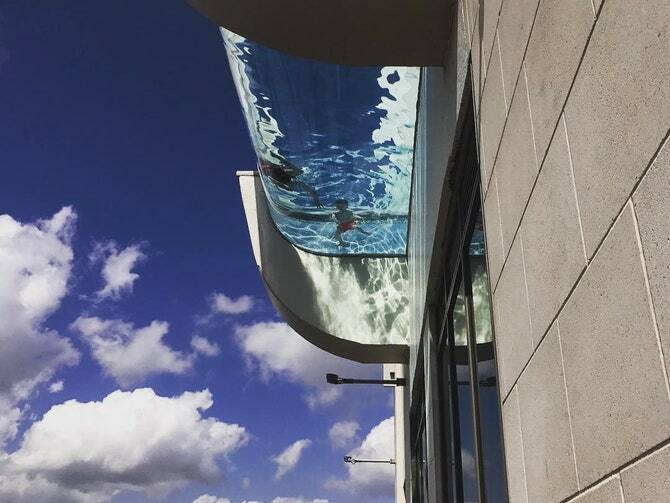 Access to a swimming pool is always a plus - but what about a rooftop swimming pool that extends over the side of your building, 500 feet in the air, making swimmers feel like they're flying over the city? Market Square Tower, a luxury high-rise that opened in Houston in November 2016, boasts the tallest clear, cantilevered pool in the United States—and it's not for the faint of heart. This article was originally written by Sophie Hirsh and appeared here.